Discover Vali Entertainment’s featured bands and DJ’s that combine talent boasting credits from Broadway, sold out concert stages; venues and festivals, and the Rock and Roll Hall Of Fame. Vali Entertainment’s bands, orchestras and DJ’s have been summoned to perform as the featured entertainment at some of the most lavishly designed events and is equally celebrated as the requested music choice for those breezy and barefoot soiree’s where excellent music is just enough. 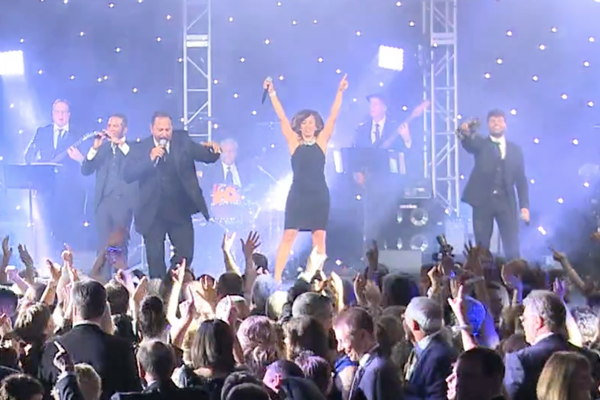 Vali Entertainment’s consultants, band leaders and DJ’s work closely with our clients, for a winning combination, to create, customize and set a tone- with- intention for each treasured celebration. To request an appointment with a Vali Entertainment consultant please call 201-768-9100 or go to our Contact Page and fill out the required form. Glamour, sophistication, and effortless, are just three words to describe Uptown Mix. Directed, by owner and President of Vali Entertainment, Jimmy Vali himself. When Uptown Mix takes the stage, your guests, and patrons will not only stop in their tracks in awe, but they will be left speechless by the range of talent, songs and technical ability that Uptown Mix brings to the table, and have the night of their lives! Each event is individual, and no two performances are alike. Much of Uptown’s future engagements are booked on the very dance floor that is pulsating with party-goer’s, at your event. Each event is treated as an opening show. Best foot forward at all times. The event experience combines the best of talent, technology, and production to ensure that your private, or social function is as impressive in appearance as it is in sound, and energy. Your spotlight event will shine, and the legacy of that evening, will live forever more. There are only two words to describe the Jimmy Vali Orchestra; genuine glamour. Our Orchestra is directed by owner and President, Jimmy Vali himself. This arrangement of musicians is a throwback to a more glamorous era. The Jimmy Vali Orchestra would have been Jay Gatsby and Daisy Buchanan’s first and only choice for entertainment during the summer season in Great Neck. 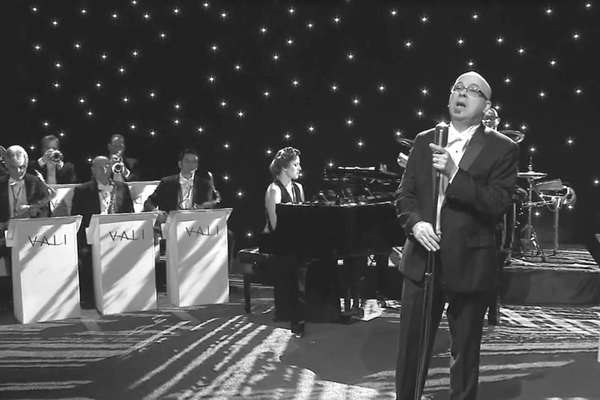 The Jimmy Vali Orchestra will take an event from magical old Hollywood to sleek Motown to today’s hits. Highly technical, and immaculately groomed, our team comes together for only the most special of occasions. An exquisite show is ensured by the presence of a fleet of string musicians, a hearty gathering of horn players, and the heart and soul musicians. Effortless pageantry comes with the Orchestra: part dinner show, part theatre, and part intimate concert. 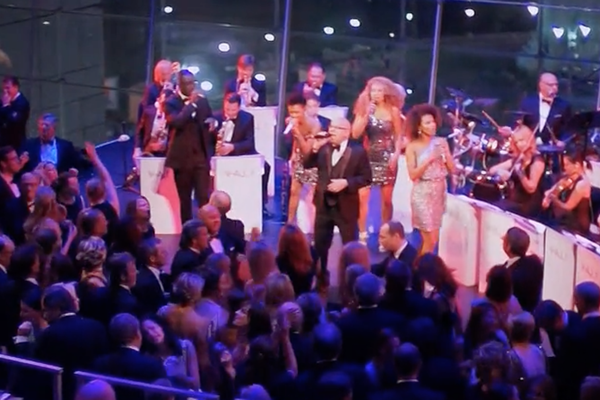 The Orchestra has played at private and social events around the globe. When you want the best, and only the best will do, one needs to look no further than the Jimmy Vali Orchestra. Whether it’s a corporate event or a private engagement, Right Mix has built its reputation on providing discerning individuals and event planners worldwide with the industries absolute finest talent. This high energy, “dance ’til you drop” band is a mixture of world-class musicians that bring an unparalleled performance to every event. Specializing in Contemporary covers, R&B, Motown & Classic Rock, Right Mix will have you convinced there’s a DJ in the house, because every song is replicated at least as good as the original recording! Their spectacular musicianship and killer work ethic has no rival. As with all Vali Entertainment offerings, Big Mix is an authentic, refined, polished experience. Elegantly presenting the full spectrum of popular music, encompassing genres from the 1950’s to today! The Big Mix experience will bring to any event, a seamless melange of tasteful standards, R&B, Pop, Classic Rock, and of course, Top 40. The defining factor, of Vali Entertainment is impeccable musicianship, sophistication, and high energy, dynamic performances, all of which, Big Mix is highly specialized in. Big Mix is by no means, what one would expected from an *event* band. As with all Vali Entertainment offerings, Big Mix is an authentic, refined, polished experience. Elegantly presenting the full spectrum of popular music, encompassing genres from the 1950’s to today! The Big Mix experience will bring to any event, a seamless melange of tasteful standards, R&B, Pop, Classic Rock, and of course, Top 40. The defining factor, of Vali Entertainment is impeccable musicianship, sophistication, and high energy, dynamic performances, all of which, Big Mix is highly specialized in. Our Hebrew Music department, is managed, by Yitzy Spinner. Equally adept at conducting, orchestrating, and singing, Yitzy brings 25 years of music production and stage performance with him to every appearance. His experience and repertoire covers all angles of the Hebrew and Jewish music spectrum. He and his team, are able to take traditional melodies and bring them into the 21st century, by complimenting the arrangements with a fresh, new energy. This approach is unique to Vali Entertainment. Whether classic and old world, or contemporary and reinvented – Hebrew music is Yitzy’s passion and you’ll feel it the moment you experience it live. For the past two decades, Vali Entertainment has been securing talent for private event clients, corporations and associations throughout the nation. Our talent acquisition specialists are armed with an arsenal of entertainment options hand-picked to suit the needs of your audience, enhance the style of your event and fall within your budget. Our strong relationships within the entertainment industry enable us to provide our clientele with the absolute finest in entertainment at very competitive prices. Vali Entertainment’s talent acquisition specialists also specializes in negotiating production riders and coordinating logistics including sound, lights, staging, backline equipment, travel and dressing room requirements. Thank you so much for your group’s [The Right Mix] incredible performance. The guests would have stayed all night if they could have. Vali Entertainment was an absolute pleasure to work with. They played a wide range of music which kept our guests dancing the night away. Thank you- and the fabulous Jimmy Vali Orchestra. As always, you were such a hit with the crowd. Bill and I were so delighted and remain deeply grateful. Your vocalists are out of this world. Your musicians are top notch. Your energy is infectious. Your ability to personalize an event is unparalleled. Our guests could not stop talking about how great you all [The Right Mix] were. Everyone said the only time they sat down was when dinner was served. The Band [The Right Mix] was amazing! I’ve never had so many guests ask where I found the band. Many thanks for a wonderful wedding performance. Everyone had the best time ever at this annual event and we credit you and the music. What can I say?! Fantastic! Superb! The best! Our delegates loved every minute of the entertainment. The most baller wedding parties of all time! Vali Entertainment has earned a reputation for providing superior music and entertainment to clients across the globe. From the boundless energy of their dance bands to their elegant, romantic, highly polished big bands and orchestras, to their expert masters-of-the-mix D.J.s –or the combination of all– their passion for music and collective creativity has taken them from the summer shores of private parties in the Hamptons to luxury corporate events in Singapore. President, Jimmy Vali, is most proud of his team’s adaptability and consistent standard of excellence whether they are performing at a high profile wedding, an intimate family celebration or imaginative corporate events. For all inquiries fill out the form and a Vali Event consultant will contact you promptly.